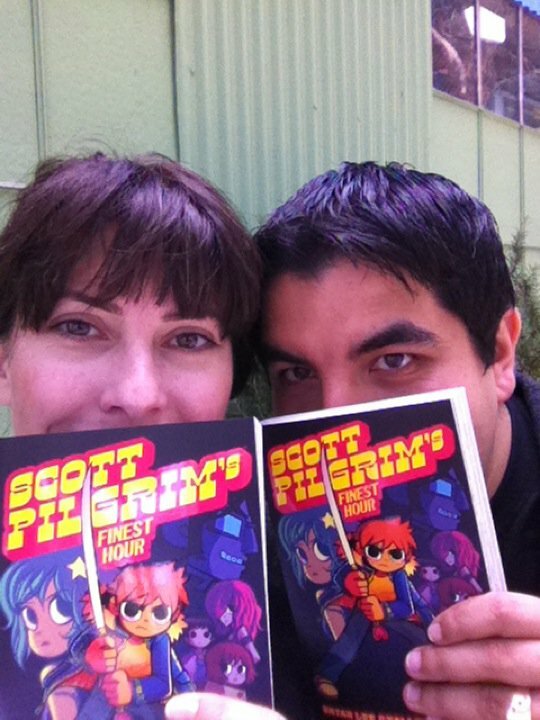 If proof were ever needed that I have the world’s coolest boss it’s that we met today at Mission Comics and Art to get Scott Pilgrim Vol. 6 together. While there I also met up with the lovely Amanda Martinez of Mission Loc@l and we shot a video for ML’s Mission Eyes segment. I gave a spiel about Brian Lee O’Malley’s hybrid approach to cultural references in such a mainstream book and specific references to Mexican culture within the pages of the series. 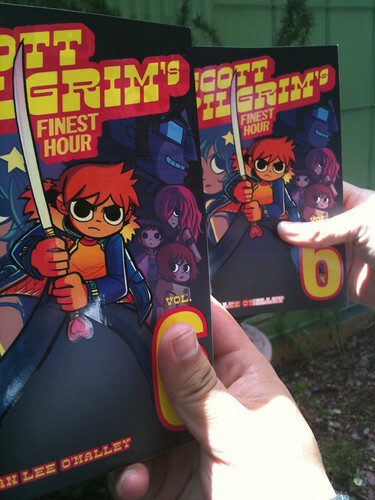 I also interviewed Mission Comics and Art owner Leef Smith about the shop and Scott Pilgrim. As of this writing I have yet to read it. I spent a few scant moments at work flipping through it trying not to spoil things for myself. The suspense is killing me. I’m going home to read some Scott Pilgrim.